Alternative therapies are gaining increased popularity due to more and more people losing faith in traditional medicine that is unable to cure a variety of medical conditions. Traditional medicine today is mainly focused on diagnosing various medical conditions and treating mostly symptoms of these conditions without going deeper into actual causes of the illnesses due to time and budget constraints imposed by medical insurance companies. Traditional physicians have established office visit time restrictions and these do not allow them to examine a patient thoroughly and get to the bottom of his medical condition and its causes. The number of misdiagnosed conditions and erroneously prescribed treatments are growing at ground breaking speeds. Alternative medicine, on the other hand, encompasses various alternative therapies, techniques, herbal remedies and methods to view a human body in its entirety and treat it as a whole rather than focusing exclusively on the symptoms and certain organs. Holistic health practitioners work on enhancing personal well-being by addressing stress, anxiety, work and personal relationships, lifestyle and diet. Below we describe different alternative therapies and their role on improving personal health and treating the causes of illnesses while still addressing the symptoms. Meditation is one of the most powerful alternative therapies used to enhance personal well-being by relaxing the mind, stopping the endless cycle of mental overload and inviting peace and spirituality into one’s life. Meditating has been widely practiced across the Asian countries and is based on various techniques of relaxation, mental awareness and envisioning. The process of meditation is very often incorporated with deep breathing exercises techniques and Yoga stretching. Meditating as one of alternative therapies has been found helpful as an anxiety reducer, pain management and mood enhancer. Acupuncture is among Chinese ancient alternative therapies that are based on insertion of various metal needles into major bodily meridians as ways to treat diseases. 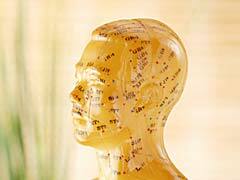 Acupuncture treats a wide number of conditions from nausea to headaches, asthma to anxiety, pain and muscle spasms. A truly skilled acupuncturist can masterfully insert many needles without causing any pain to his patients. These skills are not developed overnight, therefore, it’s essential to see a well experienced practitioner to achieve ultimate results. Osteopathy is one of the most popular alternative therapies that utilize various manual body manipulation techniques intended to balance out the musculoskeletal system of a human body. An osteopathic therapist applies various degrees of pressure and manipulations necessary to accomplish the goal of restoring self-healing processes in the body. Patients suffering from an array of conditions ranging from back pain, muscle spasms, asthma, ear infections and trauma can benefit from osteopathy. Hypnosis alternative therapies are utilized to treat all sorts of diseases of the body and mind. A trained psychotherapist uses various techniques to put a patient in a state of hypnosis or so called altered state of mind making an individual more responsive to verbal stimulation. The object of the hypnotherapist is to examine a patient’s subconsciousness and to introduce changes to his memory or behavioral patterns. This technique is incredibly helpful for people to cope with tragic or traumatic experiences, substance abuse sufferers, phobia patients and even people with mental illnesses. Autogenic therapy is among relatively new alternative therapies that was developed by Dr. Schultz and is intended to treat diseases and conditions that are caused by excessive stress and anxiety. It’s a form of self-hypnosis that is focused on mind and body awareness, proper breathing and mental envisioning. In clinical studies, autogenic therapy was found to be beneficial to treat various diseases like Irritable Bowel Syndrome, depression, anxiety, hyperventilation, asthma, eczema, psoriasis and even heart disease.